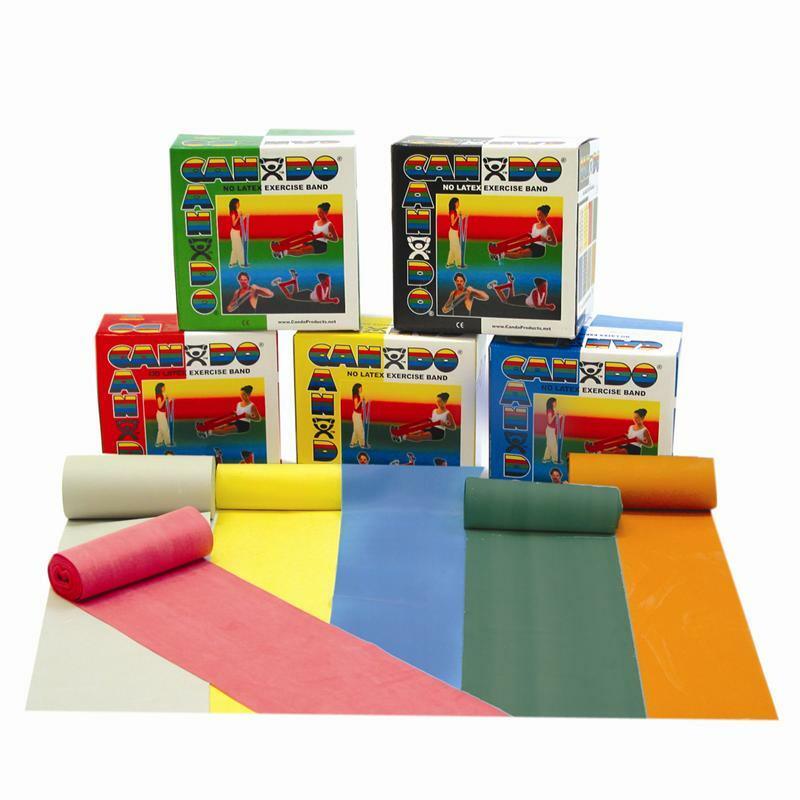 High Quality, Low Cost, Latex Free Exercise Band. CanDo latex free band is specially formulated to mimic the stretch characteristics of latex band. CanDo latex free band is easily identifiable by the checkered pattern on its packaging. Like CanDo latex band, we stock 6 progressive levels. Purchase exercise band with the colors that you are used to, at a price you want to pay.